Canada’s first and only plant to build compressed natural gas (CNG) vehicles recognized under Ford’s Qualified Vehicle Modifier program opened its doors this week in Windsor Ontario. 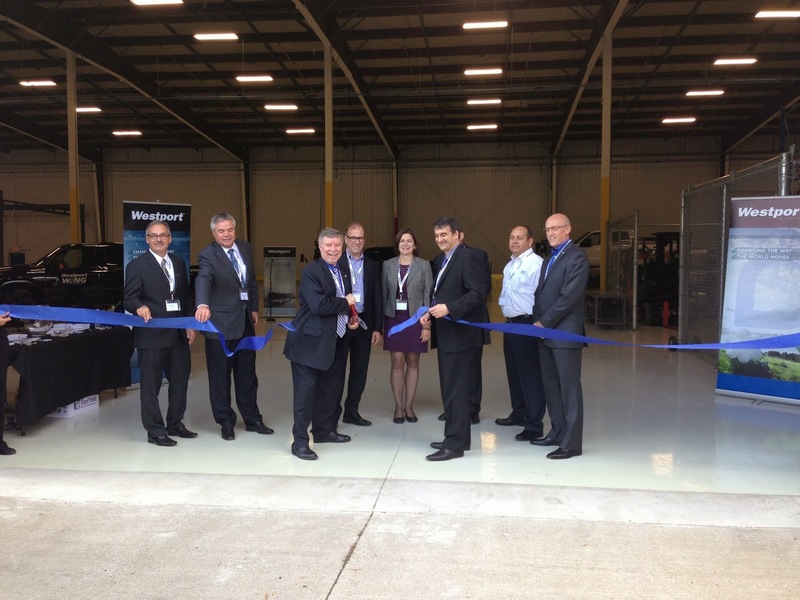 Industry, community and government leaders joined Westport Executive Vice President Ian Scott at the opening ceremony of the Westport Windsor Integration Centre on October 16, 2013. The event marked a new phase in Canada’s natural gas vehicle movement. Canadians will now be able to drive natural gas-powered new Ford F-Series Super Duty trucks with the Westport WiNG™ Power System. Previously these vehicles were only available in the United States. Representatives from Ford of Canada, Encana Oil and Gas, Union Gas, Ferus Natural Gas Fuels, Enbridge Gas Distribution, the Canadian Natural Gas Vehicle Alliance and the Windsor-Essex Regional Chamber of Commerce helped cut the ribbon at the new 20,000 square foot facility. Bob Bailey, member of Ontario provincial parliament for Sarnia-Lambton, also attended. He recently proposed Bill 97, the Natural Gas Superhighway Act. The bill includes a non-refundable tax credit for Ontarians who purchase medium and heavy-duty vehicles, using either liquefied natural gas (LNG) or CNG in Ontario. Members of the Media Film a Ford F-250 Westport WiNG™ Power System Pickup Truck - Now for Sale in Canada. Open for Business! Westport's Ian Scott and John Lapetz Cut the Ribbon, Opening the New Westport Windsor Integration Centre.